My Cuisinart 2600 makes up to 14 cups at a time. 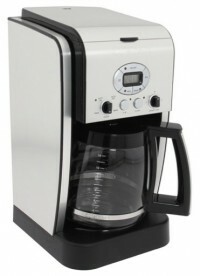 I love my Cuisinart coffeemaker! I used to love my Braun, until it had a meltdown and nearly set my house on fire. It turned out to be under a recall from Braun, but their solution was to have me send it back, and they would repair or replace it and return it to me.